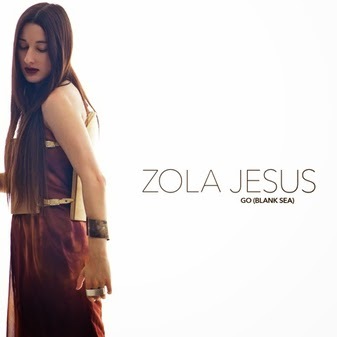 Zola Jesus’ latest single “Go (Blank Sea)” receives a fantastic reworking from LA duo Skin Town, who lay down dark yet scintillating synths as a bed for Nika’s powerful vocals. Nick Turco of Skin Town explains his inspiration when doing this remix: “Years ago, I had the chance to produce with Nika in our project Nika + Rory. With this remix I tried to return to that hyper-melodic, busted-boombox radio synthscape feeling.” The single comes from critically acclaimed album TAIGA, out now on Mute. Listen to and share the remix of “Go (Blank Sea)” here. Both remixes of “Go (Blank Sea)”, by Skin Town and Diplo will be released commercially on November 17th. 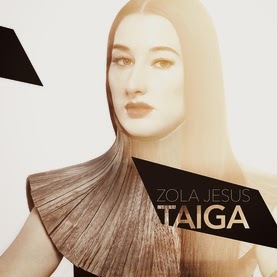 Hot off the heels of her transcendent US performances, Zola Jesus heads overseas to present TAIGA to audiences across the UK and mainland Europe. Full tour dates below. 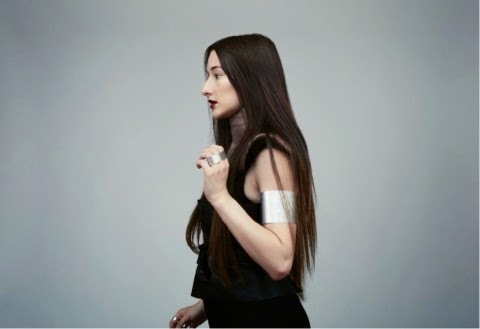 Zola Jesus also recently filmed a performance for the legendary Later…with Jools Holland program with U2, Interpol, and Sam Smith, which will air for US audiences on the Palladia Network the week of November 10th. For her 5th studio album, TAIGA, Nika relocated from central Los Angeles to Vashon Island in the Puget Sound, in effort to immerse herself in the natural world. Vashon is a densely-wooded enclave with no bridges connecting it to the mainland. The taiga is the world’s largest terrestrial biome; a wild boreal forest covering large portions of Russia, Canada, Eurasia, referred to as the Northwoods where it connects in North America. Nika grew up on several acres of land in the northwoods of Wisconsin. Her Russian ancestors extend the taiga’s bloodline throughout several generations and to some extent this land has genetically imprinted on her. She has always felt its pull. To Nika, the taiga represents boundlessness: no law, just survival - at once innocent and raw, embodying naivety from its purity, yet at its core unforgiving and savage. Most of Nika’s creative process on Vashon was very different from how she used to write. Instead of starting a track with a beat or layers of synthesizers (with vocals usually coming last,) she began by writing songs completely acapella. Her work on the orchestral album Versions inspired her to revisit her classical vocal training and further hone the skills she had started developing in operatic study when she was young. Resuming training with her old opera instructor, she regained the confidence and vocal range she had heretofore lost. It allowed her to shed the former blankets of noise and reverb that used to cover her voice in fear.